Centrally located seven miles north of I-40 at the intersection of SH 99 and US 62, Prague, Oklahoma is close to Oklahoma City and Tulsa. This small, progressive community has a lot to offer its 2,386 citizens as well as its visitors. 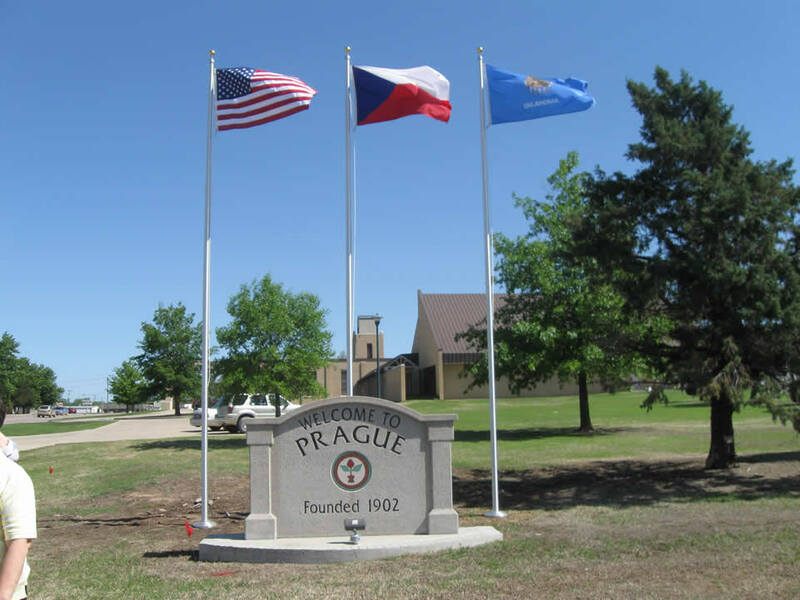 Prague’s lake offers hiking and horse riding trails, fishing, playground facilities, campgrounds and RV hookups. In addition to the lake, Prague’s park has a swimming pool, a half-mile walking trail, basketball courts, playground equipment, tennis courts, cooking facilities, pavilions, fountains and restrooms in addition to a winding creek and scenic gazebo. Prague is also home to a nine-hole golf course and downtown stores full of arts, crafts, collectibles and antiques. Likewise, 15 protestant churches, one catholic church, two banks, four primary and secondary schools, and a multitude of civic organizations serve Prague. The city’s five-member, council-manager government recently completed a $1.6 million waste water project, major street renovations downtown, and is continually working to modernize the town in effort to provide quality services to their citizens. Although moving into the future, Prague has not forgotten how it began. Exhibits showcasing the city’s Czech heritage, Native Americans, military, early businesses and the Kolache Festival are located inside Prague’s Historical Museum. Prague is also known historically as the birthplace of Native American athlete Jim Thorpe and is home of the National Shrine Of The Infant Jesus.